This month the city of Henryetta received $231,243.01 in sales tax revenue from the state. That was a gain of $17,619.90 above last April and just slightly below the $236,055 in April 2016. City officials are saying it is because more people are spending their money at home. It also marked the 17th consecutive month with an increase in sales tax returns. By contrast, the city of Okmulgee picked up a check for $474,277 which was $31,789 below the same month a year ago. Dewar’s check from the state amounted to $9,766.62, a drop of $2,352 from the 2018 return. Statewide, $147,825,459 in sales tax collections was returned to cities and town. That was an increase of $4,778,152 from last year. Those collections are based on February business. Work can finally start on getting sewer service to the property owned by the city west of town. Tuesday night, the city council award a bid of $182,958 to Beytco, Inc. of Sapulpa to build a lift station. A contract allowing MSB Construction from Oologah to build the sewer line was also approved. That will including boring under Interstate 40. The nearly 35 acres of land just south of the west I-40 exit has water going to it but no sewer facilities. This work will make it attractive to potential retail businesses. As part of that overall project, the council approved a purchase of $5,504.66 for gravel to build an access road on the property. Also getting approval was a contract to repair leaks in the clear well and reattach some cables in Jim Hall Lake. The clear well leaks require divers to inject special sealants and they have to have their suits disinfected when they enter the water. Mayor Jennifer Munholland explained the work should take between two and three days. The leaks prevent the city from filling the clear well to its full ten-foot height. “We can only fill it up to six feet, she said. Grass Grabbers received the contracts to mow city lots and parks as well as do the mowing on overgrown lots throughout the city. After a 20-minute executive session, the council approved the collective bargaining agreement with the Henryetta FOP. The American Legion has been paying state sales taxes on goods and services and that has rankled a number of legislators. This week the full Oklahoma Senate gave unanimous approval to eliminate that issue. 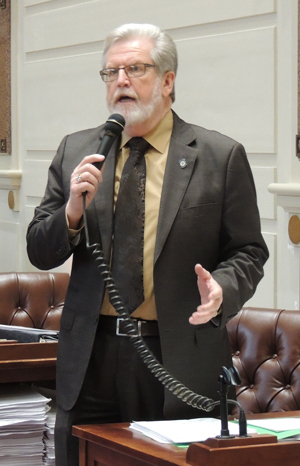 House Bill 1003, by Senate Appropriations Chair Roger Thompson and House Majority Leader Mike Sanders, was approved by the full Senate on Wednesday. “Twice this session, members of the Legislature, Governor Stitt and Lt. Governor Pinnell have gathered to honor Oklahoma’s veterans. With the passage of this bill, we follow our words with actions, supporting the American Legion which provides so much support to our veterans every day of the year,” said Thompson, R-Okemah. Thompson noted that for years, Blue Star Mothers and Veterans of Foreign Wars have had this benefit. Thompson said this legislation corrects that oversight. He said extending the sales tax exemption to the American Legion would only have a fiscal impact of $287,000. The measure also was approved on a unanimous vote by the House last month. "The American Legion has been in Oklahoma for 100 years serving our state veterans and their families as well as our youth through a variety of patriotic education programs and outreach ministries,” said Sanders, R-Kingfisher. "The Legion also promotes a mission of strong national security. I’m glad to finally give them the same tax-exempt status that other organizations with similar missions already have." There are 180 American Legion posts throughout Oklahoma and an auxiliary with 143 units. American Legion services include benefits assistance, career fairs and workshops, guidance on education, health care, and personal finance and plays an active role in communities across the state. “This bill now goes to Governor Stitt for his signature, and we hope he will stand with us in supporting our veterans,” Thompson said. State Sen. Roger Thompson has been appointed to the Budgets and Revenue Committee for the National Conference of State Legislatures (NCSL). 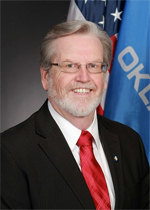 Thompson, who chairs the Oklahoma State Senate’s Appropriations Committee, was appointed by NCSL leadership. The committee’s jurisdictional areas include federal and state policies with fiscal implications, including funding for services and programs, budget processes, tax and revenue systems, legislative oversight, unfunded mandates and state-local fiscal relations. Thompson said that this appointment affords Oklahoma direct input into those conversations and greater insight into critical federal budget and revenue policies impacting the states. “The implications of these policies can be profound and far-reaching. It is critical for our states to remain informed and work together for our common good,” Thompson said. After 45 years of service, Joy Wittman announced her retirement from American Exchange Bank effective March 15, 2019. 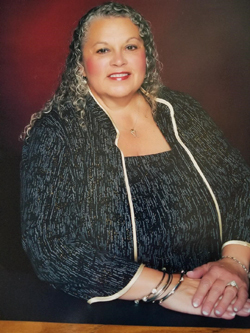 She began working at AEB in 1972 as a VICA student while attending high school then started full time in the bookkeeping department in 1974 and subsequently worked as the Assistant Cashier, Cashier, Vice President and retired as the Executive Vice President of the bank. Wittman was elected to serve on the Board of Directors and has served in that capacity for many years and will continue to do so. “Joy will be greatly missed by our management team and our employees. She has added greatly to the success of American Exchange Bank for many years,” stated AEB President, Terri Thompson.